It’s five years this summer since the shooting by police in Tottenham of 29-year-old Mark Duggan kickstarted riots in London and beyond. This bleak but thoughtful documentary, three years in the making, follows two of Duggan’s friends, Marcus and Kurtis, in the wake of his death. All three grew up on the Broadwater Farm housing estate and all three were kids in 1985 when the area hit the headlines with a violent riot that resulted in the death of a policeman. Now, Duggan’s controversial 2011 death has further complicated how the area’s black community perceives itself and is perceived from outside. Both Marcus and Kurtis are doing a lot of soul-searching about their past, present and future – partly prompted by director George Amponsah’s desire to understand the people and places that bore their dead friend. Amponsah has close access to Duggan’s family: he’s there at the graveside for the anniversary of his death, and we also meet Duggan’s mum, aunt, partner and kids. But their grief and desire to see his death ruled as unlawful are not the film’s main focus. Mostly Amponsah tries to get close to Duggan by sticking to his friends and allowing them to account for themselves as they go about their lives. Bruised Marcus faces a jail sentence for his part in the riots and wonders how he might help kids tempted by dangerous lifestyles. More upbeat, Kurtis is trying to turn his back on crime by applying for minimum wage jobs and concentrating on bringing up his family. What the film ends up being about is opportunity: the opportunities we’re born with or without, and the opportunity to defy destiny by making the right choices. It’s not a happy watch – but it’s an essential one if you want better to understand the city and people around you. In August 2011, a young unarmed black man was shot by the police. The media said "yeah but he was a bad guy" and the public said "ah well he probably deserved it then". This film shows the man behind the headlines, the humanity, and the grieving community left behind. 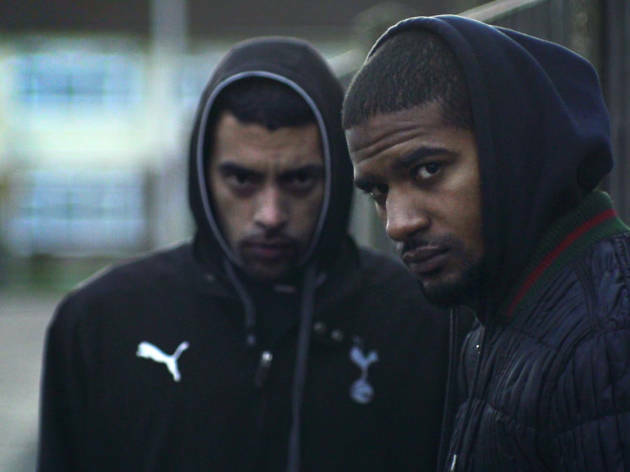 The film also gives what feels like a very intimate and honest insight into the lives of young black men growing up on the Broadwater Farm estate in Tottenham - it's raw and hard to watch at times but there is humour and hope as well as frustration and despair. I've never really faced discrimination or prejudice and I've had opportunities handed to me on a plate my whole life, so it's hard to put myself in the shoes of the protagonists. The power of this film for me is that it challenges your assumptions and prejudices and allows you to relate as human beings. I have a huge amount of respect for Marcus and Kurtis for putting themselves and their lives out there for everyone to see, warts and all, to try and get justice for their friend. I wasn't in London when the riots happened and this helps put things and prespective and shows a very clear connection with the present and the reason deaths in America at the hand of police. I strongly recommend anyone to see it!